Unparalleled design and service have been the hallmark of Innovative Carpets since it was founded by Bob Couri over 28 years ago. We’ve established ourselves as one of the most efficient and knowledgeable hospitality carpet and rug manufacturers worldwide, committed to providing designers, buyers and hoteliers with an outstanding experience and exceptional products. 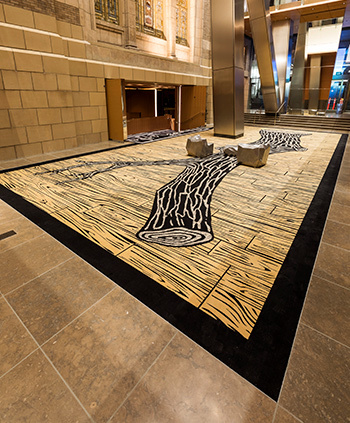 By choosing Innovative Carpets, you will set the foundation of your hotel, resort, casino, restaurant or event space with superlative design and construction. For the discerning clientele, we are the gold standard in woven axminster carpet and hand tufted rugs. Our dedicated team understands the passion that is involved in the design process for Hospitality spaces. Each project has its own individual flavor and each designer has their own unique look. Experienced designers at Innovative Carpets combine the flavor and look to create distinctive, stylistically diverse solutions and our dedicated production and project management teams have an unsurpassed commitment to delivering a superior product in budget and on time. At the head of the team is owner, Bob Couri. With over 40 years of manufacturing experience, his hands on approach to each project and obsession for detail has been the guide in the creation of some pretty amazing installations! Supporting the Innovative sales and design team, Stephanie Ciongoli’s proficiency in the field, working intuitively with hospitality designers and procurement professionals, enables her to successfully link the client to the Innovative Carpets creative team. Head office is based in New Jersey and with knowledgeable sales representatives throughout the United States and Canada. Our team has a passion to produce exceptional Axminster carpets and Hand Tufted rugs and each custom carpet and rug is expertly produced from inception to installation. Every carpet and rug project receives distinctive individual attention and our clients remain uniquely as important as the project itself. 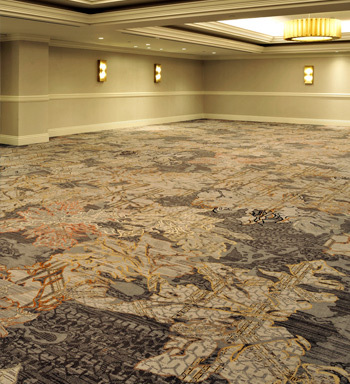 The quality of our carpets and rugs is reflected in the caliber of our clients, many of which include Ritz-Carlton, Hyatt, Fairmont and Marriott Hotels.